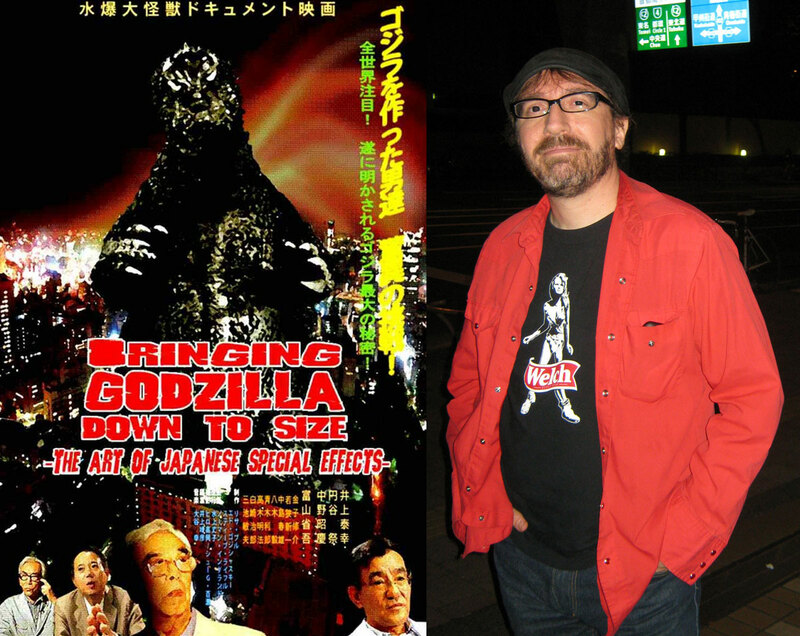 Norman England (Bringing Godzilla Down To Size) talks about working in Japan around the king of monsters and directing the best Godzilla documentary to date. Oh boy, I have been sitting on this interview for WAY too long. Episode #63 unearths the interview I did with Norman England in Tokyo back in October of 2011. Apologies to all (including and especially Norman) for the delay, but here it is. We do talk a little about Godzilla in general terms, but I really wanted to talk with him about his involvement in the amazing documentary, Bringing Godzilla Down To Size. If you haven’t seen it, I honestly believe it is the best documentary to date on Godzilla. It was part to the Rodan/War Of The Gargantuas double disc from Classic Media as a special feature, so if you haven’t checked it out, pick up that set before they become “super rare” or something. Anyway, I had a blast speaking with Norman and I really wish that I had posted this earlier. All in all, the interview alone is just over an hour and that doesn’t count the stuff that we recorded before the interview started and when I screwed up and let the recorder fill up, so we had to do some back-tracking in our conversation. But we do have a great conversation about a whole bunch of stuff revolving around Godzilla, the documentary, the people that make these films and the future of kaiju films in Japan… so I hope you enjoy it. One thing that I should mention is that at the time of this interview Yasuyuki Inoue was still alive. Unfortunately, Inoue died in February this year at the age of 89. See this article on SciFi Japan for more information on Inoue and his influence on our favorite movies. *Make sure to check out GeekPortland for all of your local Portland events! Don’t forget that our next film for the Daikaiju Discussions will be the 1962 Gorath. If you are willing to watch the film on your computer, listener Ben Morgan found the film online here. Please make sure that if you would like to submit your homework for the next episode, just email your thoughts, questions and reviews before August 23rd.